This exciting upgraded formula contains hopein, from the hop plant, an active phytochemical belonging to a new class of phytoestrogens known as prenylflavonoids; together with isoflavones from soy, which are highly valued phytonutrients used to support hormone balance. The hop plant is rich in hopein, an active phytochemical belonging to a new class of phyto-oestrogens known as prenylflavonoids. The bioactive prenylflavonoids in MenoHop® are, as active aglycones, not bound to sugars, and as a result can immediately be absorbed in the body. Helps support female hormonal health, bone health and healthy cholesterol levels. 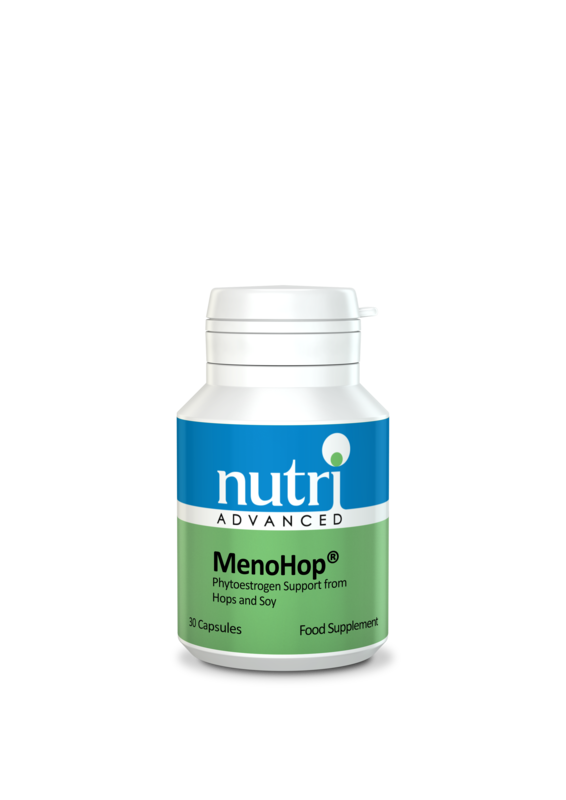 Recommendation: 1 capsule of Nutri MenoHop a day, or as directed. Caution: Nutri MenoHop is not recommended during pregnancy or whilst breastfeeding.